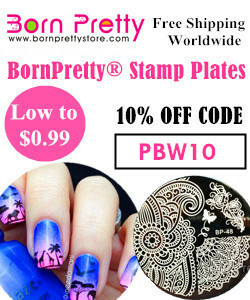 Today I have a review of this Born Pretty Stamping plate: Tropical Punch L002. It was very kindly gifted to me. However, as usual I will give an honest review. So first of all the etching of the design is really good. 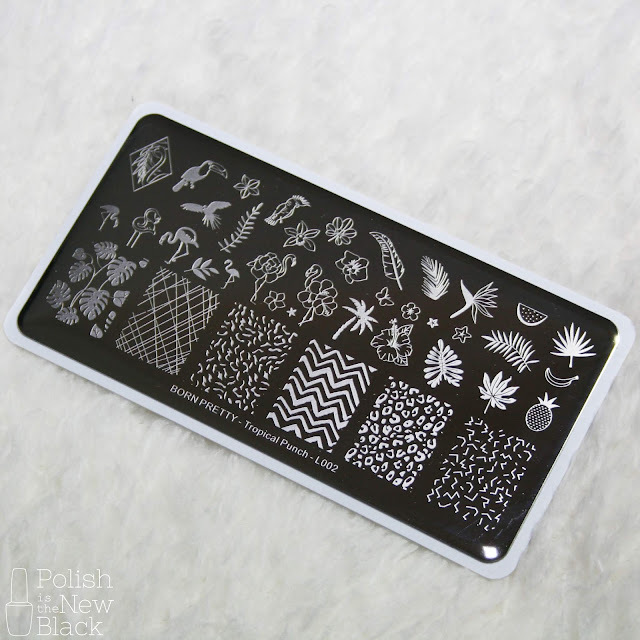 I absolutely love all of the patterns on it I think theyre so cute and you could create so many gorgeous manis with it! I just loved the leopard print and had to create a mani with it. Now I will say I did have quite a bit of trouble trying to stamp this. However, it was down to the stamper. I started off trying to use my Moyou clear stamper. No matter how many times I tried it would just not pick the design up! So then I had to switch to my creative shop stamper which worked but then I couldn't see the design. I Scream Nails: Musk Have It! I Scream Nails: You Blue It! I created the ombre gradient by applying the polishes with a sponge. I then stamped on the leopard design. I added a quick dry top coat and then finished off with the cuticula top coat to add a bit of sparkle.